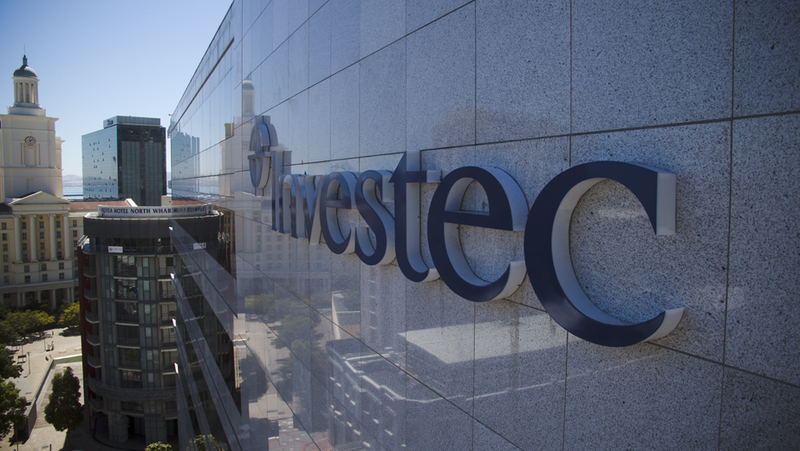 Invoice finance is now being offered by Investec Capital Solutions. This is after Investec Bank acquired Amicus Commercial Finance from the Amicus Group. Amicus had failed to secure a banking license as expected. As a result, Amicus undertook a strategic review across the group in order to reduce operational costs and ensure that its core short-term property lending business continued to grow. The sale of the invoice finance side of the business was after this failure. It must have been unsettling for staff and clients alike given that Amicus Commercial Finance was only established in 2015. Invoice finance is typically provided by way of invoice discounting or factoring. It allows a business to access up to 100% of the gross value of outstanding invoices. It is a great source of working capital and smooths cash flow so you don’t need to worry about when customers pay late. 1. Structure – if the facility is not structured properly it will not generate the cash you expect it to. 2. Pricing – the difference between the most expensive solution and the cheapest can be dramatic. It is also important to look beyond headline rates and consider total costs. 3. Service levels – they way you are treated by a lender is important. You are paying for a service and you deserve the best. Things such as stability, staff turnover and general attitude of the lender can make a big difference. 4. Security – ensure you understand what your liabilties are in terms of security requirements. If you are looking for a factoring or invoice discounting facility why not undertake a complete market review using the simple 3 step form above. That way you can secure the most competitive terms in the market. Whatever your situation there is likely to be a lender that will meet your needs better than other invoice finance providers. By using our expertise you can ensure not only that you get the best rates but also the best structure. Favell Recruitment are a family owned business started by brother and sister Oliver and Alicia Favell. They are a recruitment company based in South Yorkshire that specialise in the construction sector. The business started trading in 2014 and to finance it’s rapid growth they entered into an invoice finance facility with Aldermore Bank Plc. They set this up on a the Aldermore ABC product which is a fixed price facility and they had an overall credit facility of £50,000. Sadly, the facility did not generate the required working capital but when they looked to terminate the agreement Aldermore levied early termination fees. The facility had run satisfactorily but they soon outgrew the facility. In order to double the facility limit to £100,000 Aldermore doubled their fee structure to £900 per month plus an additional 0.65% of turnover for bad debt protection. The facility was also restrictive as there was a 50% concentration limit on the facility and their top customer could represent more than 50% of their sales ledger. This put pressure in Favell’s cash flow as the facility was not generating the required cash. Favell Recruitment felt that the facility was both restrictive and expensive. As a result Oliver looked to source a better structured facility. A facility was sourced from another lender that provided an increased facility limit, increased prepayment, increased concentration limit, full funding limits on all their debtors and also provided considerable savings. In terms of costs, if we analyse the fees paid by Favell to Aldermore in December we can see that despite borrowing just over £7,000 at the end of December having notified just £23,164 of invoices the fees for the month were £1,230.16. Of this, £900 was fixed cost service fee which represents 3.88% of turnover and this did not include the bad debt protection. If the new lenders facility had been in place the costs would have been circa £450. This is a reduction of over 60% in costs. Due to the inflexible fixed fee arrangement and the low turnover in December due to the slowdown in the construction industry this may be somewhat skewed. However, the service fee element would have been just £231 compared to £900 and the additional bad debt protection. If we assume a turnover of £700,000 and average borrowing of £75,000 the Aldermore facility would cost £16,260 versus the new facility of £10,650. Again a considerable saving of 35%. Favell Recruitment approached Aldermore to advise that they wanted to leave. Sadly, despite the facility being restrictive and expensive Aldermore advised that there would be a termination fee. There is obviously no legal requirement for Aldermore or any other ABFA member to allow a client to terminate a contract early. However, given that Aldermore could not fully fund Favell’s largest customer due to concentration restrictions, it could be interpreted that “continuation of the facility may cause hardship to the client” given that it was restricting profitable trading and growth with their largest customer. Due to the restrictions on the facility and also what Oliver considered to be excessive fees, Favell Recruitment felt they had no option but to pay the termination fee to Aldermore to exit the facility. With a better structured and more cost effective working capital facility we wish Favell Recruitment continued growth and success. Do you want to access invoice discounting but don’t want to provide a personal guarantee? Many invoice finance providers insist upon a personal guarantee and others only insist upon a guarantee if you are factoring. This seems strange to me as the lenders risk associated with invoice discounting is higher than it is with factoring. However, the criteria for invoice discounting with these lenders if far more stringent so the personal guarantee is less important. Why do lenders look for a personal guarantee? A typical requirement for a personal guarantee will be between 10-25% of the overall funding line while some lenders will look for unlimited personal guarantees in the first instance. The reason lenders look for a personal guarantee is to keep the directors interested in a failed situation. If a guarantor stands to lose money under a guarantee they will help the lender collect in outstanding debts. It may mean they need to dig out a proof of delivery or a signed timesheet to help resolve a dispute. Are personal guarantees called upon? Rarely are personal guarantees called upon. Invoice finance lenders are lending against outstanding invoices and their calculation of prepayment relates to what they feel they will be able to collect out in a failed situation. On that basis the outstanding debt is repaid by collecting out what is owed by customers. This can be a troublesome process so the directors or guarantors help is often vital and as already stressed the guarantee is there to keep them interested in assisting. In fairness banks and other lenders are becoming far less reliant on personal guarantees than they used to. Mostly due to reputational risk, especially where the family home is the main asset underpinning a guarantee. So do I have to provide a guarantee? In short no. There are lenders available who will provide funding without a personal guarantee. Shop around or use a reputable broker such as Funding Solutions. There are more and more lenders entering the market of constrction factoring. This should be good news for construction companies and it may well be, however, there are some real potential pitfalls for companies that use this form of finance. For many construction contractors this form of finance may present a real lifeline and an opportunity to finance growth but it is imperative that you understand how it works and how charges can mount. One frustration I have is that businesses who are on the fringe of the construction industry can be assisted by more traditional factoring providers. Unfortunately lenders with specialist construction factoring products will ‘force’ these businesses down this route as it reduces their risk, reduces their exposure, increases their fees and ultimately provides a better return for their shareholders. There seems to be little benefit for the business that is ‘forced’ down this route. The permanent recruitment sector has historically been neglected by the invoice finance industry. There was a time when the industry would not finance perm recruitment companies. So why was the perm recruitment industry neglected? It was neglected because of the perceived risk involved in dealing with invoices that related to permanent placements. With temporary recruitment the rates are agreed, work is completed, timesheets are signed and invoices are raised. If the hours are multiplied by the agreed rates correctly there is very little that can be queried. In comparison, an invoice for a perm placement is raised when the candidate starts work and sometime before they have even started. What happens if the candidate does not show up on the first day? What happens if they walk out after their first week? What happens if the company finds they are not suitable and let’s the candidate go? Typically there are various rebates due depending on when they part company. As such there is no guarantee that invoices raised will be settled in full if at all. Recently we were approached by a landscape gardener than needed assistance in raising some working capital. The family owned business has issues as they were working for the well known house builders. These clients would take a long time to pay and in the meantime they had to pay their workers weekly. They had approached their own bank who were unable or unwilling to provide an overdraft facility. They referred them to their invoice finance arm who were unwilling to assist as the business was considered to be in the construction industry as they were required to submit applications for payment to the house builders like any other contractor. From there they had approached several independent invoice finance providers who were unwilling to help for the same reasons. The landscape gardener then approached us at Funding Solutions UK. Arrangement fees for factoring have crept into the industry in recent years. If you look back at historical comparisons between invoice factoring and overdrafts they would typically say that arrangement fees were payable on an overdraft facility and not on an invoice factoring facility. However, this is no longer the case. Some lenders charge an arrangement fee, a legal documentation fee and a ‘take-on’ fee. The take on fee is the service charge applied to the debts in existence when the facility commences. For example, if you have a debtor book of £500,000 and a service fee of 1% then the take on fee will be £5,000 on day one. Add to this the arrangement fee and legal documentation fee and the first day of your factoring facility is an expensive day at the office!! The best factoring company for your business will depend on the unique characteristics of your business and importantly on your own requirement. The main aspect of any factoring companies proposition is the structure of their facility, service levels and pricing. It is imperative that the facility is structured to meet the needs of your business but some lenders may not be able to structure a facility to meet your needs. Some lenders have a credit policy that will not allow them to finance any debtor that exceeds over 25% of your total ledger. If you have one large customer that accounts for a large proportion of your sales ledger or all of your sales ledger such a lender would prove to be restrictive. You will need a lender that does not have such stringent criteria when it comes to concentration limits. Another example can be exports. Some lenders will simply not finance export sales so if you have export sales or are looking at export sales than you need to consider a lender that can finance those sales. Smart Factoring Quotes understand the capabilities and requirements of each lender in the market.